It’s an initiative designed to be a model for the nation. 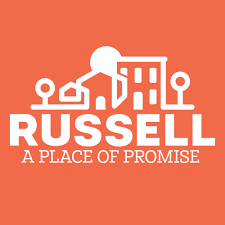 Russell: A Place of Promise is a long-term plan to keep the residents from being pushed out of their neighborhood. The Russell neighborhood has felt the long-lasting impact of redlining and divestment. With a host of new investments in the works, the initiative wants to ensure the residents there don’t get left out or left behind. “Our job and our goal is to really say to the families and the folks who live there: Investment is coming, people. Your neighborhood is going to be changing. How do you become a part of that?” said Anthony Smith, with Cities United. Boarded-up houses and blighted and vacant properties can be seen throughout the Russell neighborhood, but it’s undergoing a sort of renaissance with $ 1 billion dollars in investment happening in and around the area. “Naturally, residents are expressing a lot of hope, a lot of potential for the things that could happen for them in their neighborhood,” said Theresa Zowacki, with Russell: A Place of Promise. Keeping the residents in that conversation is what’s most important, and it’s why A Place of Promise was developed. The initiative has already gained national attention. Journalist Soledad O’Brien will feature the Russell neighborhood and the work Zowacki and Smith are doing on her show, “Matter of Fact”, over the next two years. “How do we go from charity to justice when we invest, and really start looking at changing some of or righting some of the wrongs that have happened in the past when you think about redlining and urban renewal?” Smith said. “Matter of Fact” will follow the progress, allowing the country to watch and learn how this group is working to keep a promise to the community. “So for us, we’re learning from this, and creating a framework that we take city by city across the country and say, ‘When you’re thinking about getting ahead of gentrification, these are some of things you can do? '” Smith said. Zowacki says when low-income neighborhoods see this type of investment, gentrification often follows, and the unfortunate by-product is longtime residents can no longer afford to live there. They believe Russell could be the place where an initiative such as this works. “We want to be different. We want to come from a place of collaboration with the neighborhood, a place of co-creation with the neighborhood,” said Zowacki. The first part of the series airs on “Matter of Fact with Soledad O’Brien”, on Sunday afternoon at 12:30 p.m., right here on WLKY.